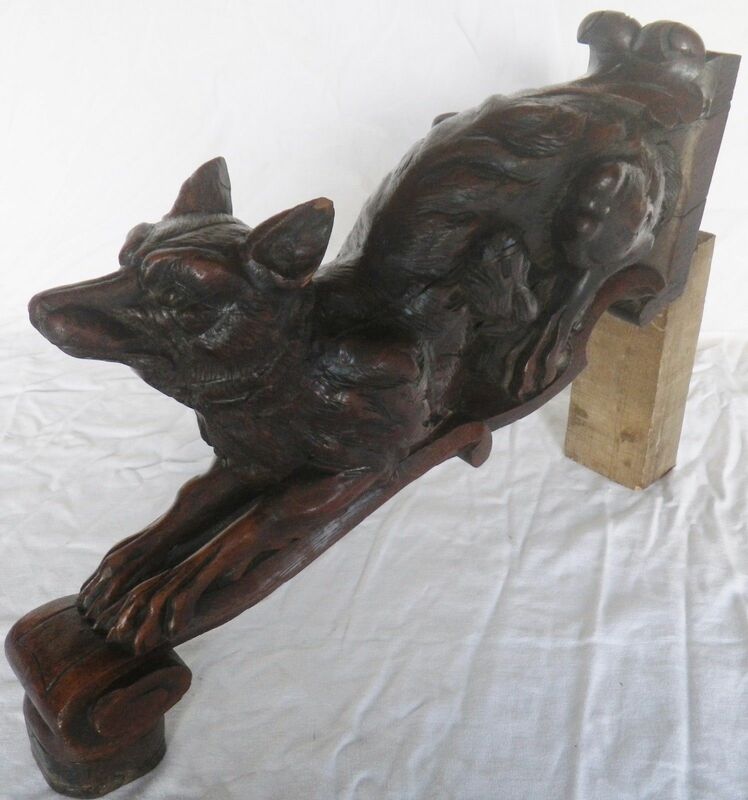 I found this large, very cool carved oak table leg carved in the form of a full bodied fox! 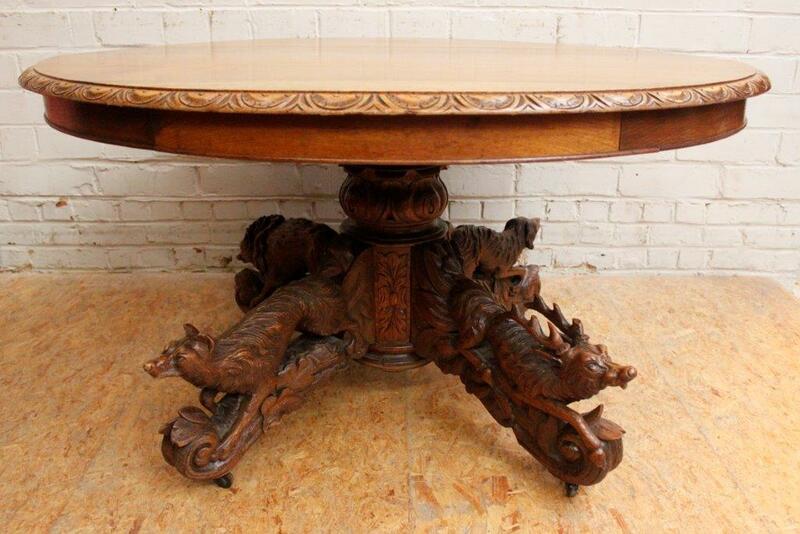 I did a little searching and found the type of table it likely came from (2nd photo) circa 1880s, wow what a table!! That table is $4,200 though, way beyond my budget. It looked like the seller had three of them, there's only two left and I bought one, my guess is the table was wrecked somehow badly enough they decided to take the legs off and sell them separately, what a shame to see such a piece of furniture "parted out" like this. The oak fox has a gorgeous old dark patina on it and other than some normal wood shrinkage cracks and a little rub on one ear, it's in good condition. This was made back in the days when they made REAL furniture, that table that is for sale it says weighs 410 pounds! I'm going to think about how I might use this besides for myself, I'm thinking in terms of making a mold from it to make casts out of some material. In that terra cotta clay you use. That would be a great piece. That would be nice in red terracotta, though if I made a mold of this it's 18-1/2" long, with shrinking of the clay that might wind up 3 or more inches shorter. I bought the other one the seller had since he said if I wanted it the shipping for this first one would cover both.